Provides a unique 3D 'Pack' layout of images. Is there a better alternative to ImagePack? 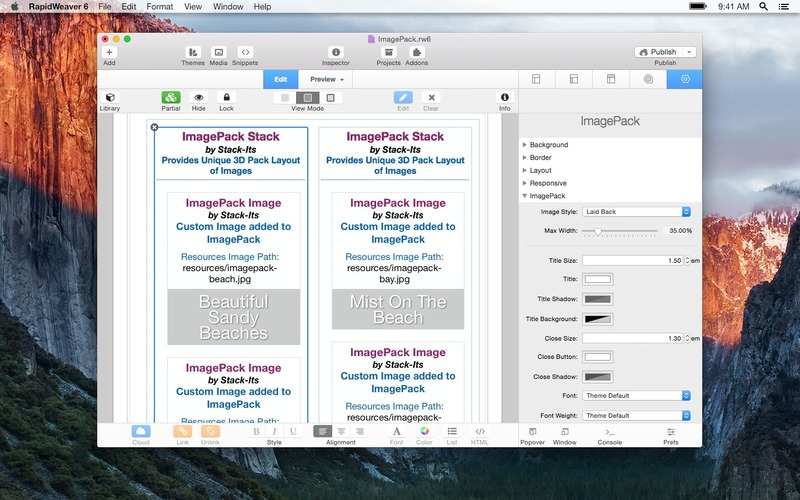 Is ImagePack really the best app in Developer Tools category? 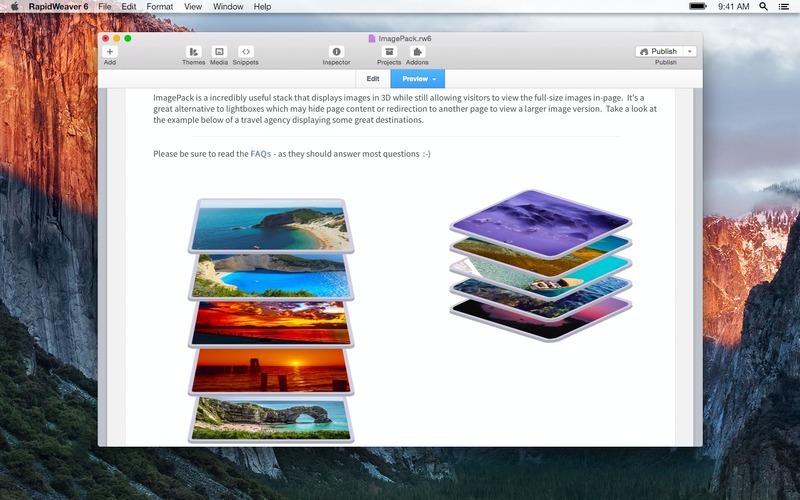 Will ImagePack work good on macOS 10.13.4? 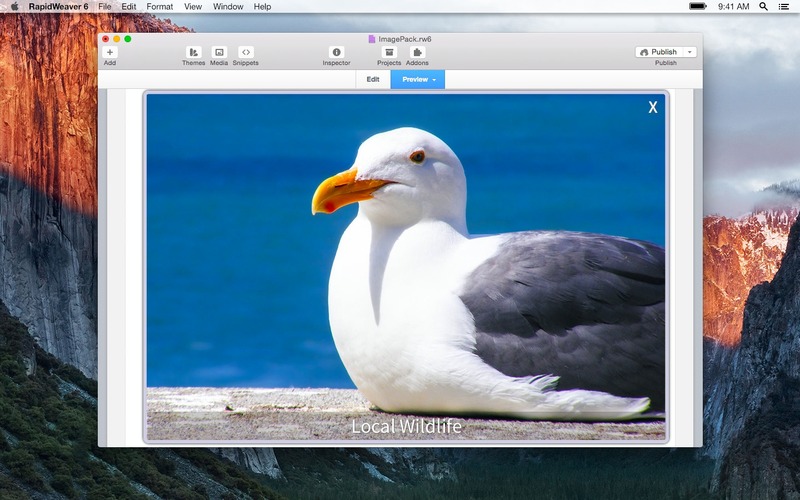 ImagePack provides a unique 3D 'Pack' layout of images and gives the user the ability to see large versions of the image while still in-page. Added image gallery support w/ navigation buttons/swipe for desktop/mobile interactions. ImagePack needs a review. Be the first to review this app and get the discussion started! ImagePack needs a rating. Be the first to rate this app and get the discussion started! Layout Options ImagePack is perfect for any occasion where you want unique responsive image layouts. It gives you the ability to choose a layout in either a Perspective or a Laid Back orientation. Images will animate into full view when hovering or single tapping. Full-size images are shown in a custom gallery and the visitor can navigate between images using custom buttons on desktop and swipe functionality on mobile browsers, along with a customizable Title & Close button. Upon closing the large image, the image pack reappears and the previously selected image takes its place in the pack. Google font options and layout options are also provided to create a customized look. Mobile Support ImagePack supports all modern desktop browsers, iOS & IE10+. And yes, it comes ready for Stacks 3+.